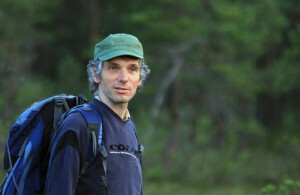 Hiking guide Marek Laimets has organised thrilling wanderings to different places in Estonia for years. He has discovered these places for himsef, mapped them and only with him will we happe n upon these trackless trails where a human foot has set very seldom. Here we can find primeval, ancient, magical, picturesque places, exciting and beautiful historical locations, many legends, stories and secrets. In a fast paced life we rush past everything, but where to? Let’s take a break, have some time for ourselves and be part of the nature. A journey guided by Marek is an inspiring experience for a long time, a unique thrill. His knowledge of nature, cultural heritage and history is compelling and helps to see the world around us in its real beauty and mystery. The trails to all this wonderful are known only to Marek, making him one of the best guides to this undiscovered land.